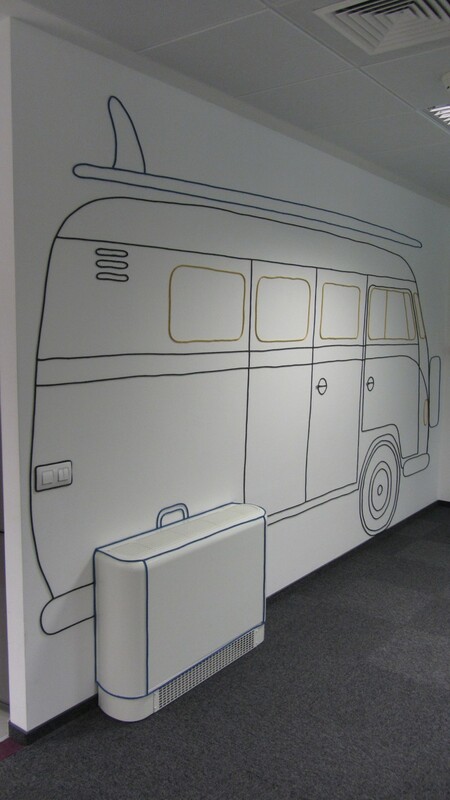 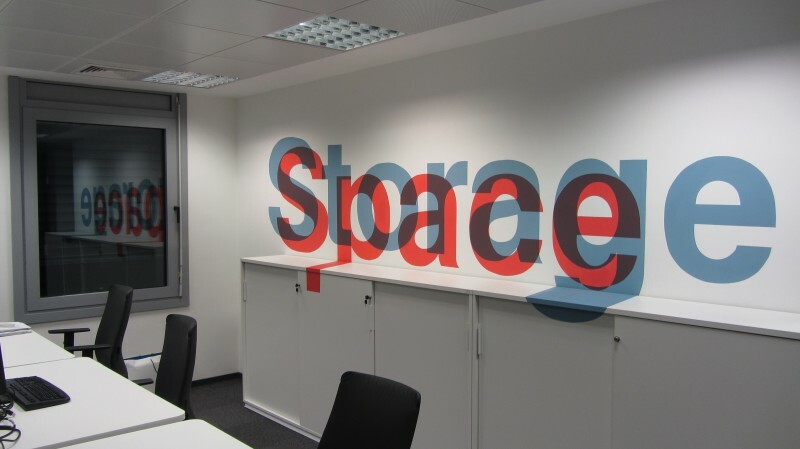 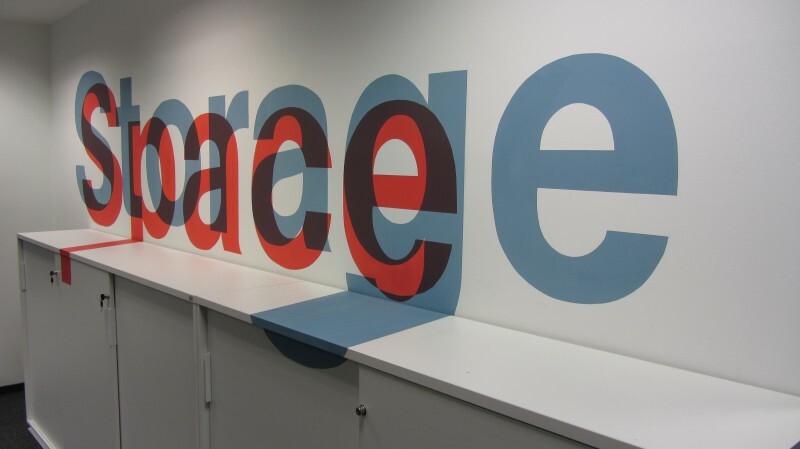 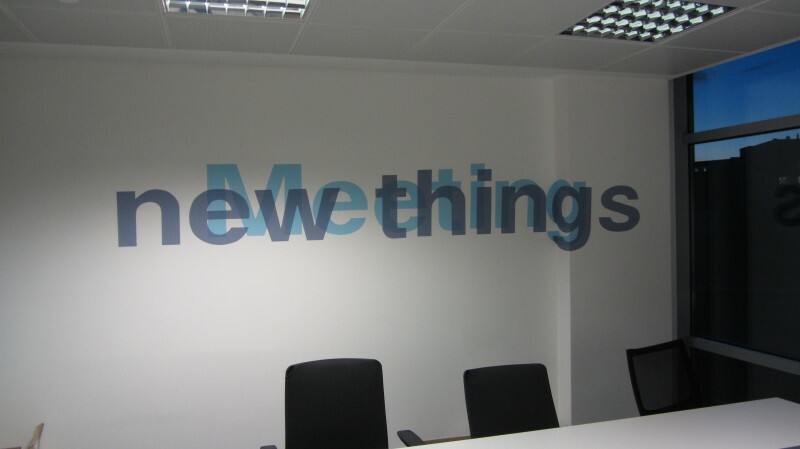 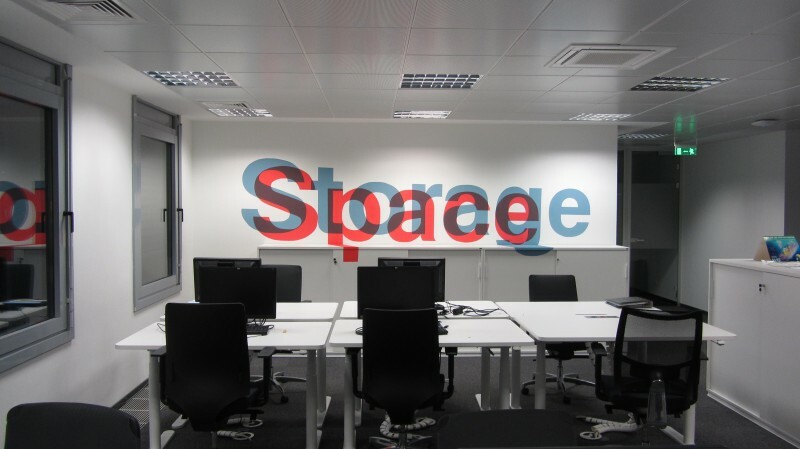 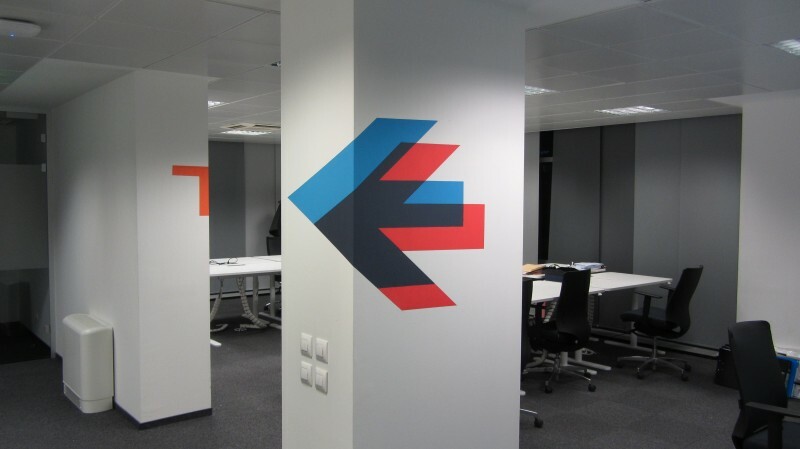 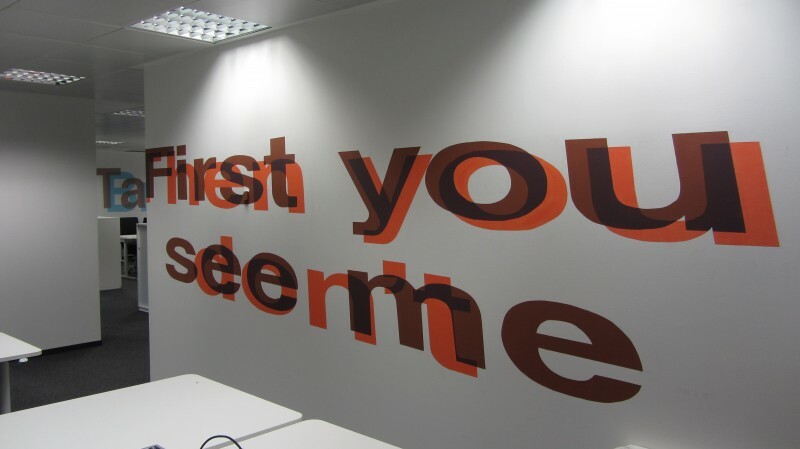 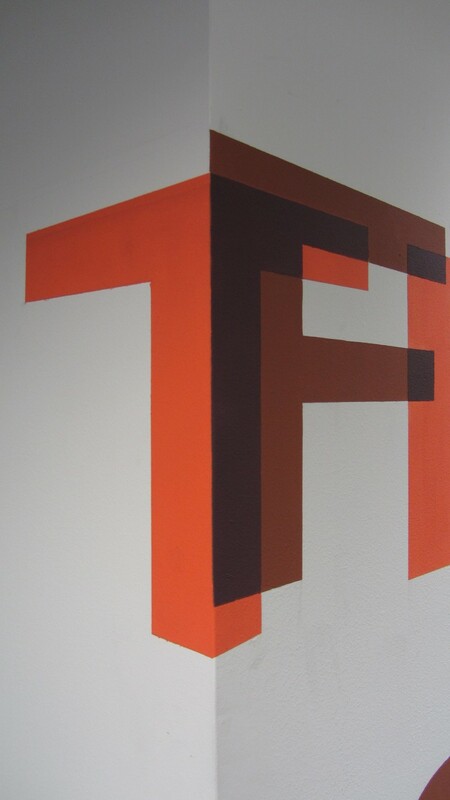 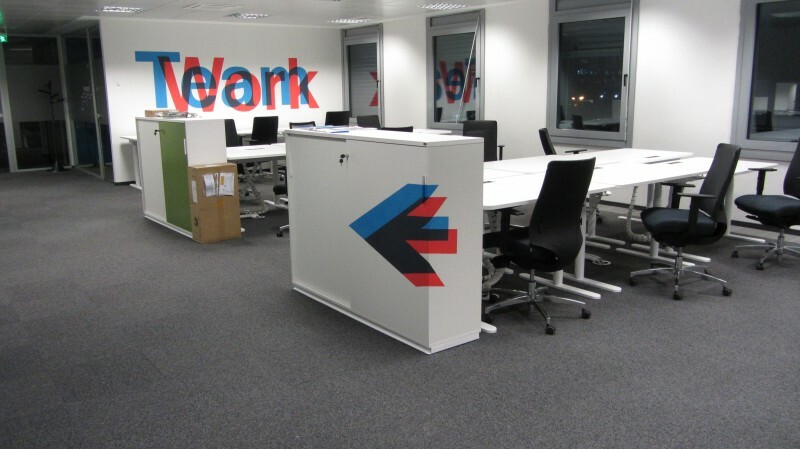 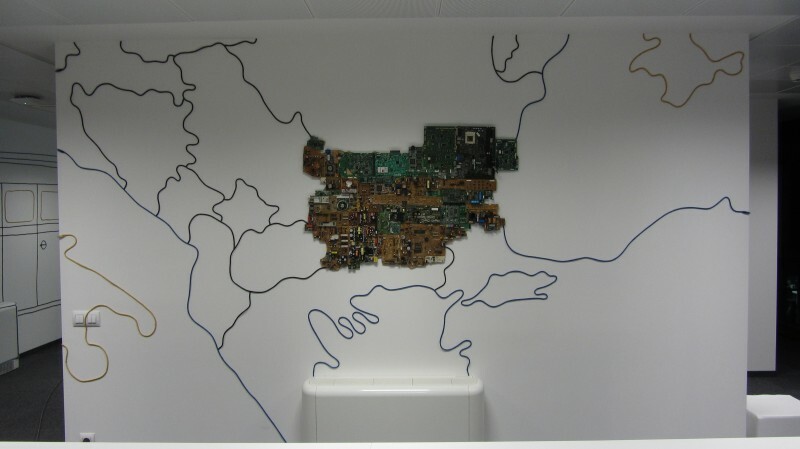 Invited by Telenor we accomplished artistic interventions in two of the wings in their office. 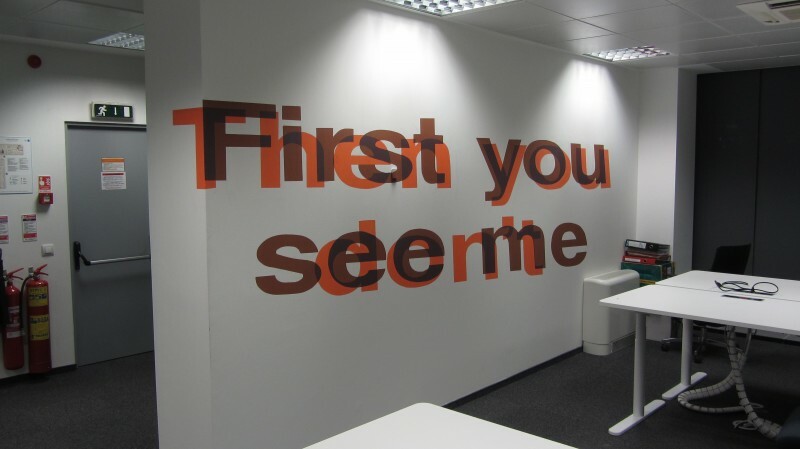 The theme for the first one is short messages towards the staff, fulfilled through graphical anamorphosis and typography interventions. 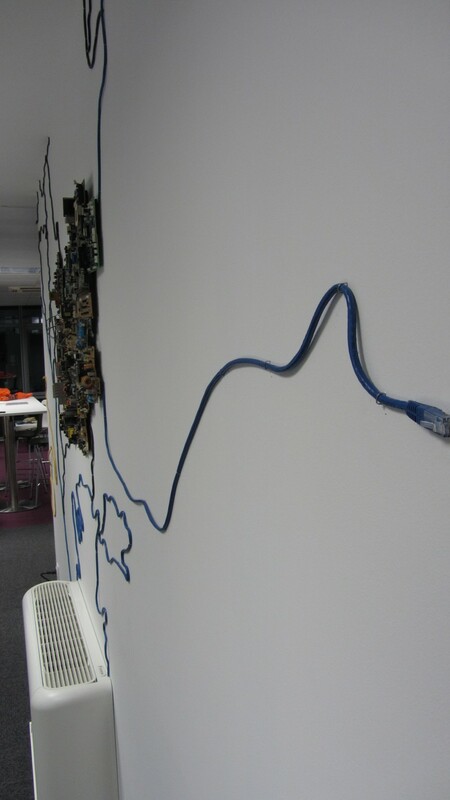 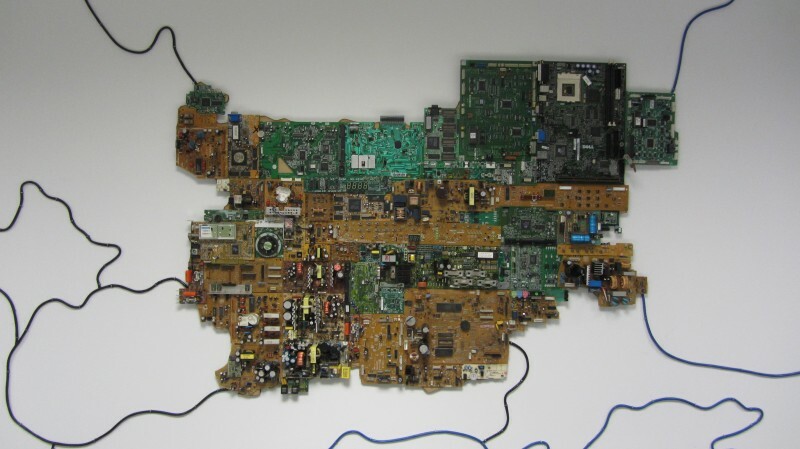 In the other wing are placed two installations- a map of Bulgaria from recycled motherboards and telecommunication network cables, as well as a silhouette of a mini van again from cables. 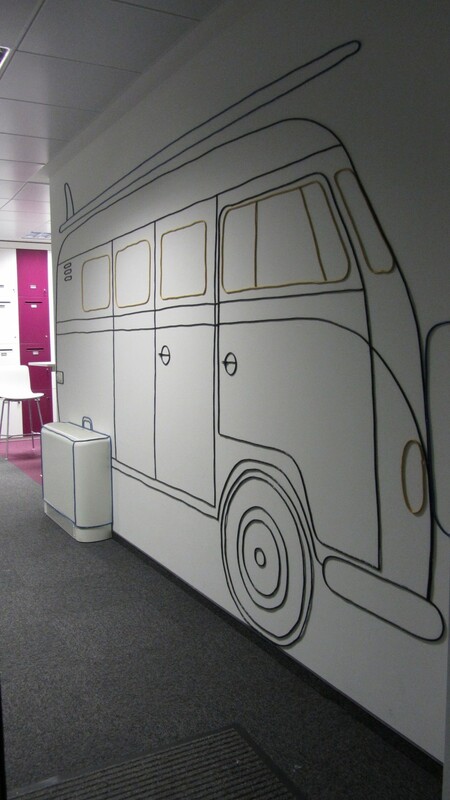 Invited by us in the other two wings of the building drew our partners from 140ideas.